How Do I Select the Correct Filter Press? How Do I Select the Correct Filter Plate? Four (4) Sidebar Filters – 120 Chamber, 1500 mm Sq. Plate, Mixed Membrane, Fully Automatic, Filter units arrive for installation at a large Chemical facility. Micronics' turnkey installation of five 1500 mm high pressure filters, 135 chambers recently installed. The site includes structure, pumps, full automation, and technical support. The filters cycle automatically on a 50 minute cycle time. 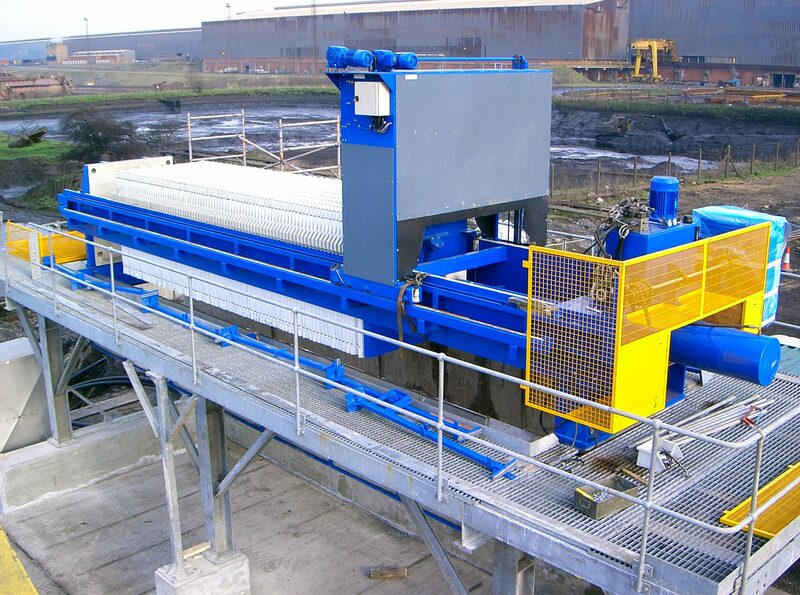 Rental Filter Press Installation reduces site preparation costs. The filter is supplied with a Structural Support, Discharge Conveyors, Plc Controls & Operator Mezzanine. This Custom System has a capacity of 126 1500 mm chambers for a total of 10,490 liters (370 cu. ft) per cycle. 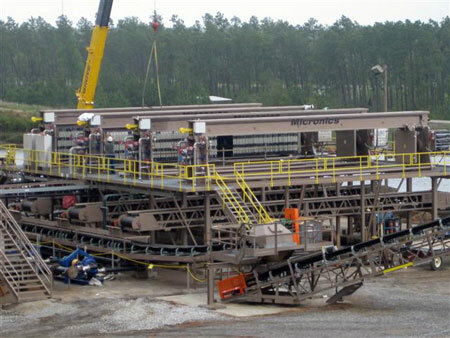 A Rental Filter Press Installation reduces site preparation costs. 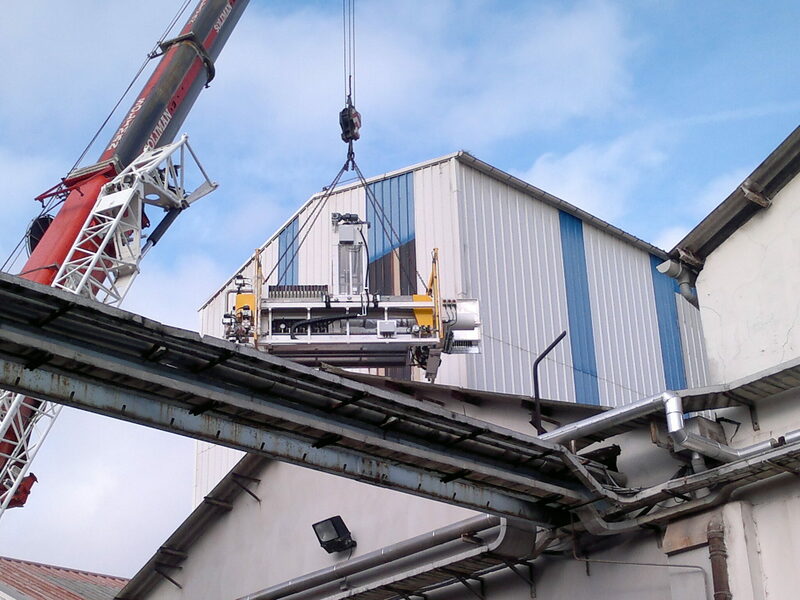 The Filter is supplied with a Structural Support, Discharge Conveyors, Plc Controls & Operator Mezzanine. This custom system has a capacity of 126 1500 mm chambers for a total of 10,490 liters (370 cu. ft) per cycle. Customer required full assembly of 2 x 1.5 m Filter Presses within his existing building. Site Installation of an Automatic Filter Press. Completely Refurbished Filter Press with Cloth Washer & Support Structure.